NEW! 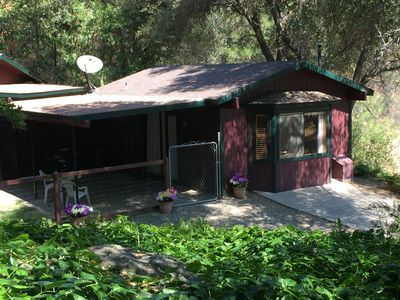 3BR Oakhurst House - Minutes to Yosemite! 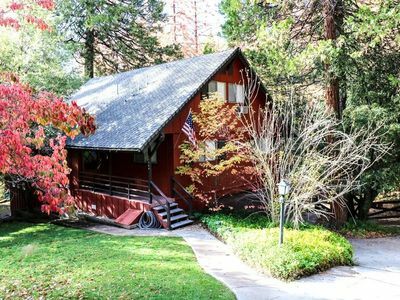 Experience the ultimate Yosemite adventure from this 3-bedroom, 2-bathroom vacation rental house, located just minutes from the southern entrance to the Park! 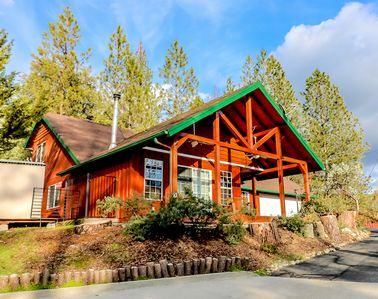 The home offers 1,800 square feet of living space and is ideal for families or groups of friends traveling together and exploring the outdoors. Whether you're interested in a quiet retreat or an adventurous escape, this destination is perfectly located for the best of both worlds! 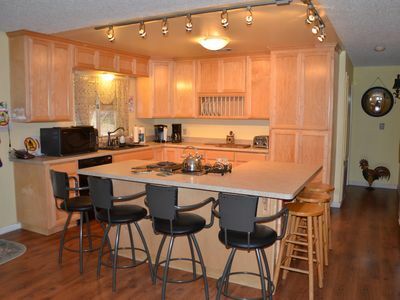 The fully equipped kitchen features modern appliances, updated amenities, and ample counter space. Coffee and bottled water are provided as well. Prepare delicious home-cooked meals for your group to enjoy, or pack up a snack to bring on your next adventure! Gather around the dining table to share a dinner together as you recount stories from your day. The table provides seating for 6 guests and is located adjacent to the kitchen and living room. The well-appointed living room is filled with bright natural light and features 2 comfortable sofas and an armchair by the fireplace. The lovely stone hearth and gas fireplace make evenings at home extra cozy! Watch a movie on the flat-screen cable Smart TV and settle in for a relaxing night at the property. Retire at the end of the day in one of the 3 accommodating bedrooms. 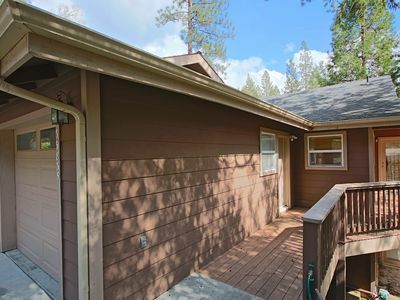 Two rooms feature double full beds and sliding glass doors that lead out onto balconies. The master bedroom is spacious and includes a large closet for storing belongings during your stay, as well as a plush king bed! 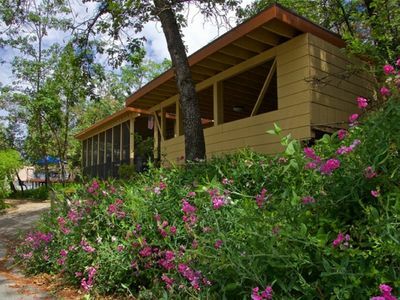 Enjoy a meal al fresco on one of the decks or utilize the charcoal grill to cook up a fresh meal for your group. 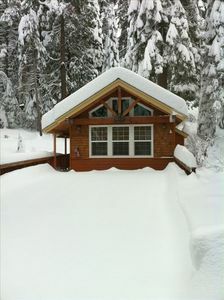 The property is in an exceptional location for outdoor lovers interested in exploring all that the area has to offer. 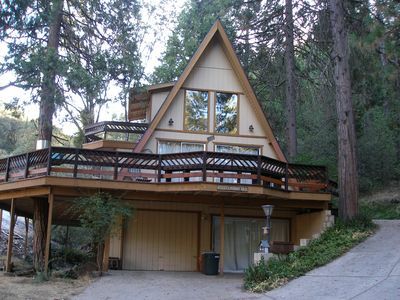 You'll be situated 12 miles from the south entrance to Yosemite National Park and only 5 miles from Bass Lake! 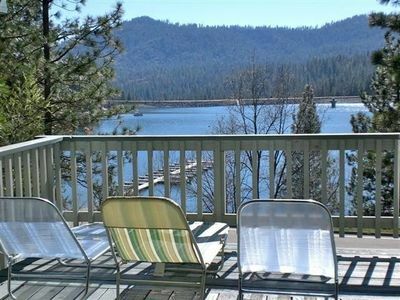 Bass Lake is a popular destination for water skiing and wakeboarding and has sheltered coves for swimming, sailing, and kayaking. Fish in the stunning warm blue waters to catch bass, rainbow trout, salmon, and more! Nearby, the Sierra National Forest has plenty of trails that can be explored on foot or mountain bike. Try the 5-mile hike to Goat Mountain Fire Lookout for an impressive view! In the Southern part of Yosemite, stop by Big Trees Lodge Stables and experience the park's beauty from horseback! Be sure to see the Mariposa Grove of Giant Sequoias, home to hundreds of towering trees, including the 1,800-year-old Grizzly Giant! 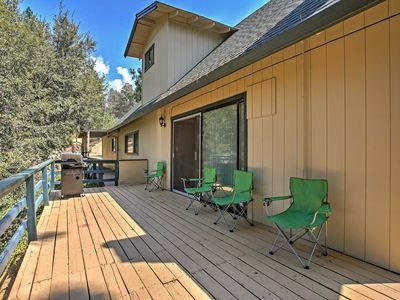 - Convenient Oakhurst Location - Just minutes away from the southern entrance to Yosemite and less than 10 minutes to Bass Lake! 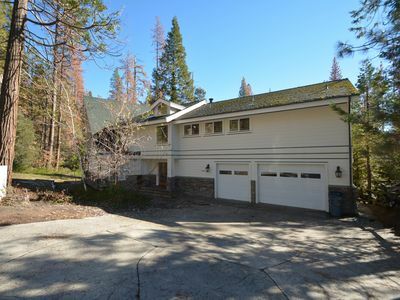 BEAUTIFUL LARGE HOME IN BASS LAKE ESTATES WITH BOAT SLIP!! 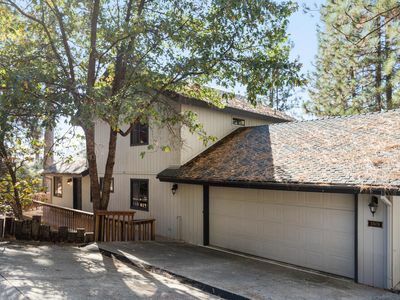 Beautiful views of Bass Lakefrom this Marina View home with easy lake access and private boat slip.Near Yosemite National Park.